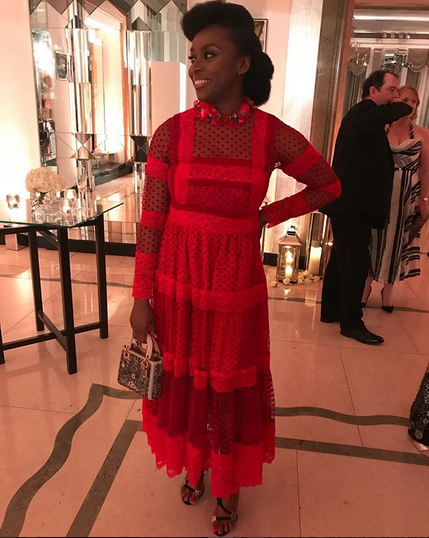 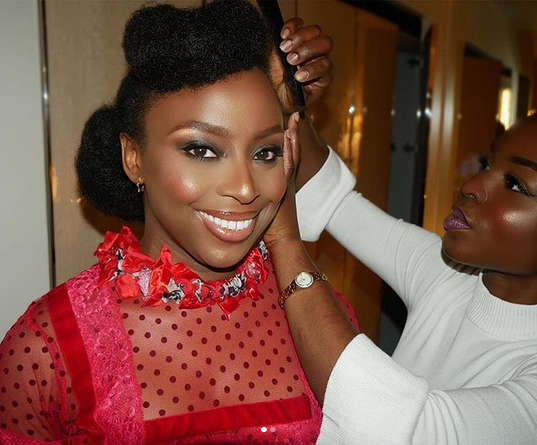 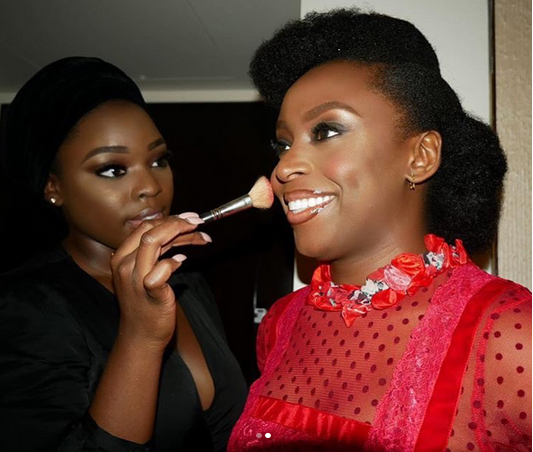 Popular Nigerian writer, Chimamanda Ngozi Adichie attended the Harper's Bazaar Women of the Year Awards in London. 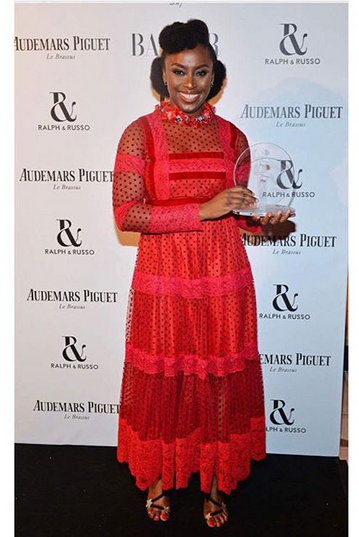 The award winning writer was stylish in her made in Nigeria red outfit as she walked the red carpet at the event. 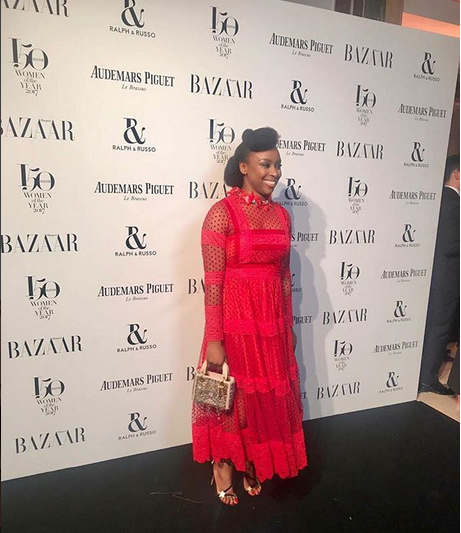 Adichie was also honoured at the event.